Virginia City, Nevada is one of the most historically significant and best-preserved mining towns in the West. The town is #2 on our list “The Top Ten Historic Mining Towns You Should Visit Today“, and while Butte may have edged it out for historical significance, Virginia City just might be the most fun and interesting place to visit for tourists. Virginia City is the most popular historic mining town for tourists with an estimated two million visitors per year. 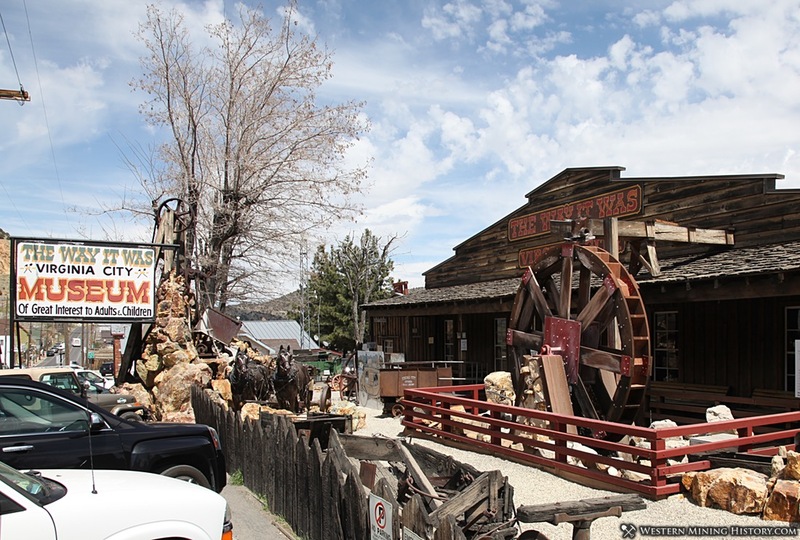 The town’s appeal lies both in its numerous well-preserved buildings from the 1800s and the nearly endless number of shops, saloons, casinos, museums, and other attractions that make Virginia City a top destination for both domestic and international visitors. 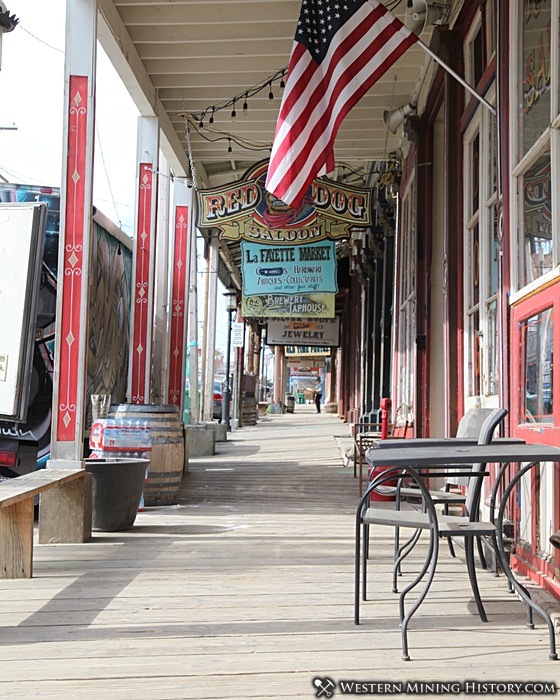 There is probably nothing more iconic about Virginia City than its wood-plank sidewalks on C Street, the main road through town. C Street is the heart of the commercial district and the historic buildings contain numerous businesses that offer shopping and entertainment of many kinds. C Street has restaurants, saloons, casinos, antique shops, jewelry stores, museums, a brewery, mercantiles, and many other opportunities for shopping and entertainment. If you are visiting Virginia City, plan on spending at least a few hours exploring everything C Street has to offer. 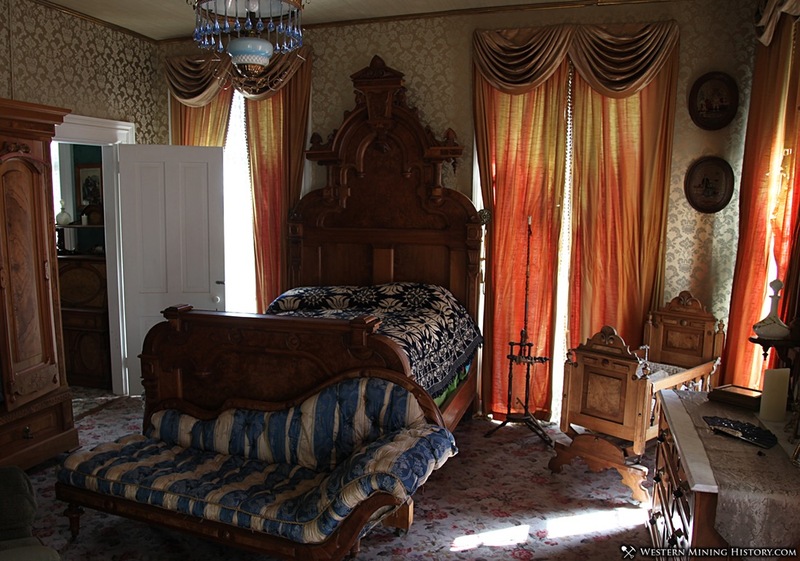 The Mackay Mansion is one of Virginia City’s oldest structures, dating back to the early 1860’s. 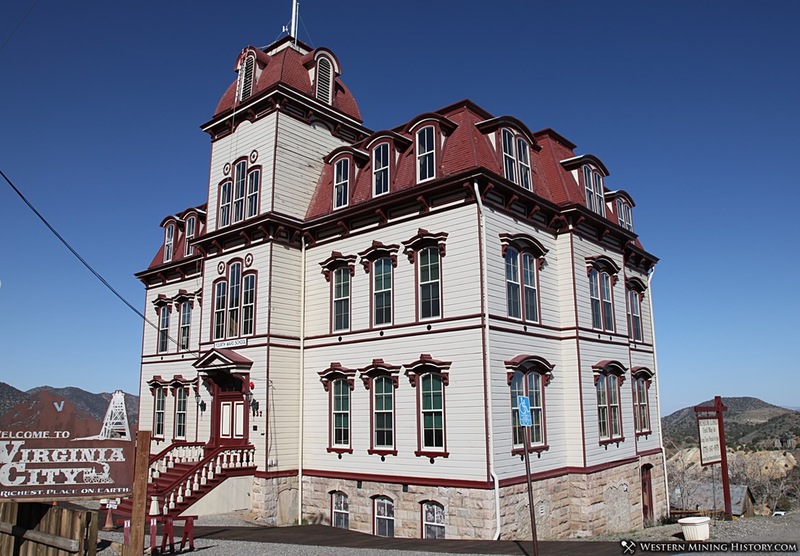 The building was initially the offices and superintendent’s home of the Gould and Curry mine. It would later become the home of John Mackay, one of the Comstock’s “Bonanza Kings”. The structure and its contents have been preserved incredibly well for over 150 years and is open for tours. Johnny Depp was so impressed with the Mackay Mansion that he stayed here for a week in 1995 while filming the movie “Dead Man”. Piper’s Opera House was built in 1885 by John Piper. 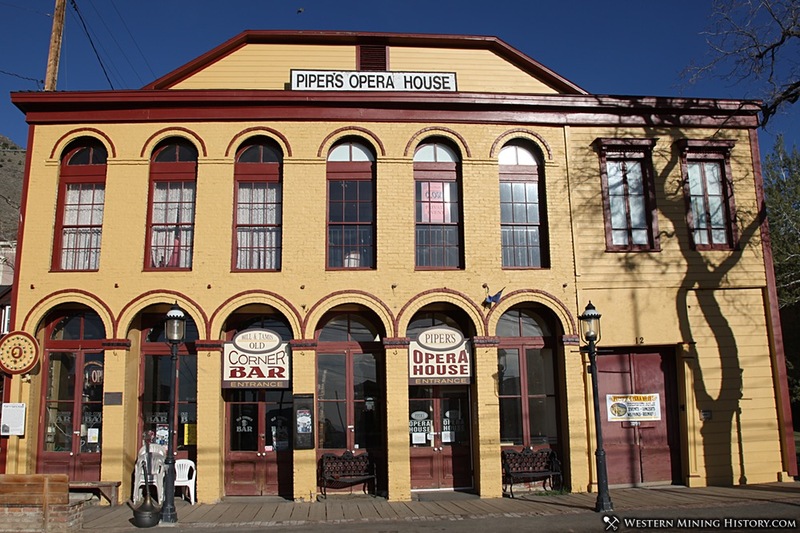 This was Piper’s third opera house in Virginia City, built after the first two burned down. The building operated as an opera house until 1907, after which it was used as a silent movie house and community center. Fortunately the building was restored in the 1960’s, preserving this rare example of a frontier opera house for future generations to enjoy. Today Piper’s Opera House is owned by the nonprofit Piper’s Opera House Programs, Inc. Their website states that daily tours are available from April through October. Dating back to 1859, the Chollar is one of the Comstocks oldest mines. The mine operated for decades and over 17 million in gold and silver were extracted. Today, the mine is open for tours. Tour guides lead groups on a 400 foot walk into the mine to a stope where square set timbering, a timbering method invented on the Comstock that revolutionized mining, can be viewed. For tour details check the Chollar Mine Tour website. Built in 1876, the Fourth Ward School was a state of the art education facility that served over 1,000 students. The elaborate building cost over $30,000 to build, quite the hefty sum in 1876. The school operated for sixty years with the last class graduating in 1936. The building was badly deteriorating by the 1960s and it seemed that the school would be lost to time. Fortunately preservation efforts started in 1964 and the structure was saved. Today the Fourth Ward School is the last surviving Second Empire design school building in the United States and is being operated as a museum. Check out the Fourth Ward School website for open dates and times. How many places can you have a pint of beer and then head to the back of the building for a mine tour? Only in Virginia City! The Ponderosa Saloon offers mine tours that start right at the back of the bar. The guided 25-minute tour leads visitors to a shaft of the historic Best and Belcher mine. The tour guide gives a colorful description of the Virginia City mines and many pieces of antique mining equipment are on display. 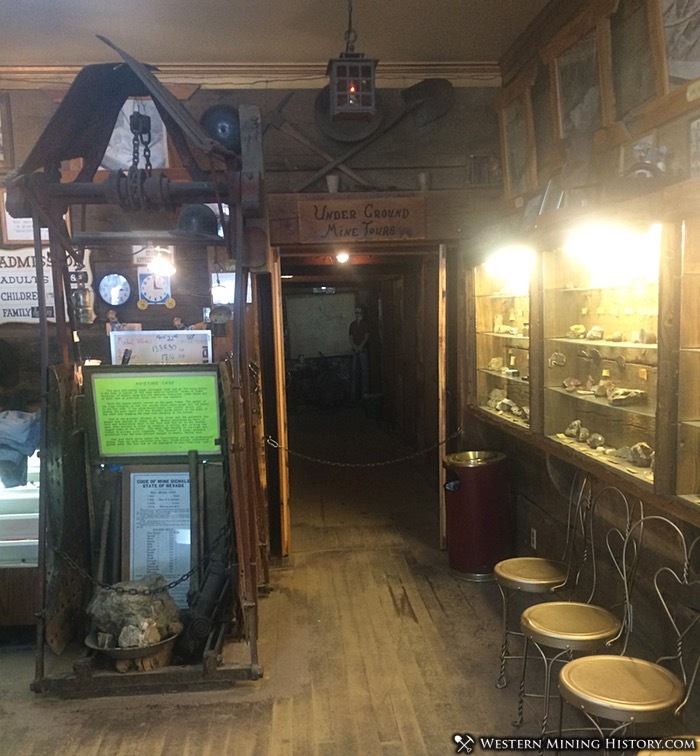 The Virginia City Tourism Commission website has details on the Ponderosa Saloon mine tour. Virginia and Truckee Railroad Engine No. 27 is an historic standard gauge steam locomotive. This engine, built in 1913, was the last new locomotive acquired by the Virginia and Truckee Railroad. The engine pulled its last train in 1950. No. 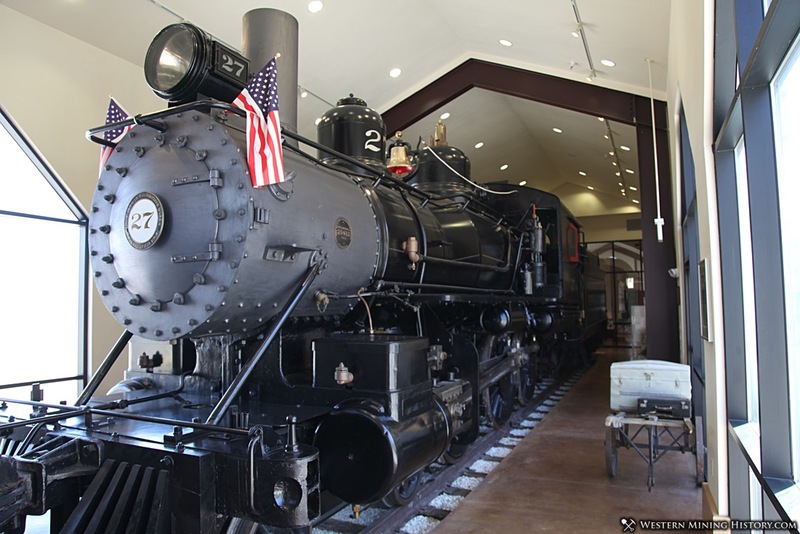 27 spent decades at the Nevada State Railroad Museum in Carson City, Nevada before recently being moved to the Comstock History Center in Virginia City. The engine is housed in a modern building and is open to viewing by the public. Cemeteries preserve the history of the people that worked the mines and built the great mining towns of the West. The cemeteries of the richer towns often had elaborate headstones and ornate cast-iron fences. The headstones often note the birthplace of the deceased and Virginia City’s former residents originated from places all over the world. It is fascinating to imagine the lives of these pioneers during the excitement of the Comstock mining boom. Typical of historic cemeteries, the graves are clustered according to the deceased’s affiliation with religious, civic, or fraternal groups. These groups included the Masons, Pacific Coast Pioneers, Knights of Pythias, Virginia City Firemen, Wilson and Brown, Improved Order of Redmen, Roman Catholic, and the city and county. 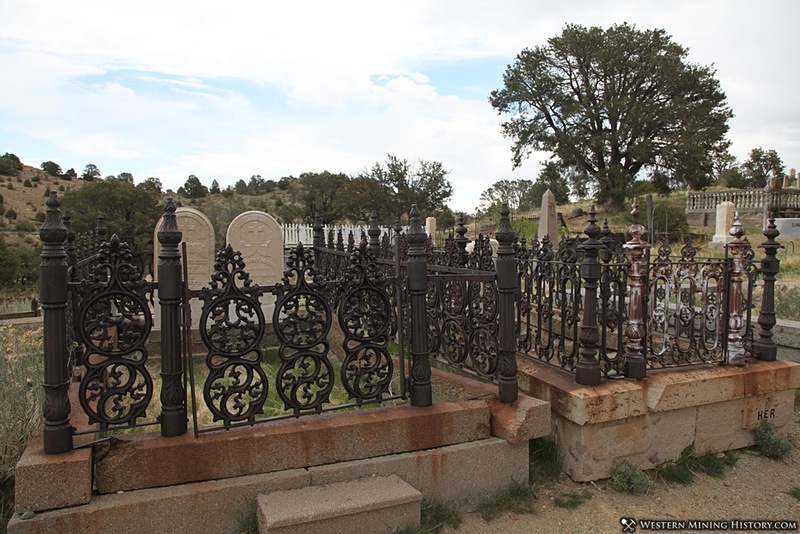 The Silver Terrace Cemetery of Virginia City is certainly one of the West’s largest and most interesting mining-era burial sites and is worth spending an afternoon wandering around in. Open year round, The Way it Was also has a small gift and book shop. The Virginia and Truckee Railroad was originally completed in 1870 and provided an essential link between the Comstock district and Carson City. The Railroad folded and was dismantled in the 1950s, but railroad enthusiasts rebuilt part of the line in the 1970s. Today the privately owned company runs narrated train rides through eight miles of historic mining country between Virginia City and Gold Hill. The Virginia and Truckee Railroad Company operates from Memorial Day until the end of October. Check their website for schedules and additional details.